Thanks to a few fans in Japan we have a few magazine scans which give us a bit more insight into the new movie Battle of Gods and teases a new character. 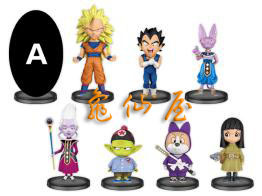 The first scan shows a set of figures which look like additions to the Dragon Ball world collection. 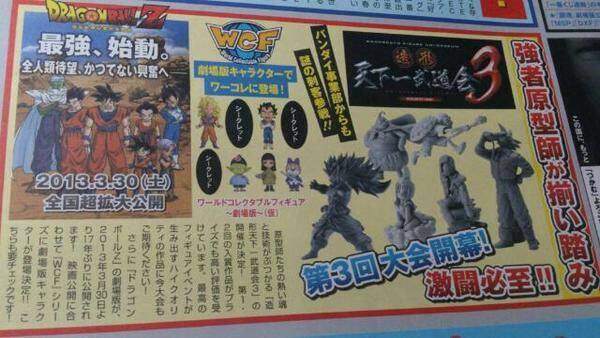 They have super saiyan 3 Goku’ the two new bad guys and a blacked out mystery figure. 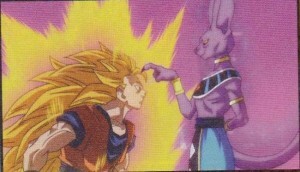 The next is a scan of Super Saiyan 3 Goku being beaten easily by Bills. This shows we will need to see a lot more power to defeat this Mew two wannabie. The final picture is of some more new toys in black and white. One looks like Super Saiyan 3 Goku but with even more hair.